Hello, I’m Rhys, and I build secure, speedy & SEO Friendly WordPress solutions for businesses. I am a WordPress development Specialist. WordPress is a content management system - which is a posh way of saying "I can build the site, and you can edit the site". With it you can make simple text changes, upload images and tweak your brand's message quickly and easily. WordPress is user friendly, intuitive, and powers over 30% of the internet. In short - if it's good enough for Sony, The New York Times, The White House and countless other sites & ecommerce stores, it's good enough for your site. Secure: WordPress has a large volunteer development team, backed by large companies. This ensures that many people have eyes on the codebase. This ensures bugs get fixed quickly, and are automatically added to your installation. SEO Friendly: Out of the box WordPress is pretty SEO friendly. However with a freely available plugin, you have the control of every SEO aspect of your site. Extensible: WordPress has over 56,000 free plugins available, and can be extended easily. In truth - the only limit is your imagination! Open Source: Nobody owns WordPress, and it's software is open source. As a result, it's very easy to change/remove/add developers and you're not tied to licences & contracts. I am a unique crossover of internet marketing expertise and WordPress development. This allows me the ability to build websites that you can use. I work best with teams of digital & content marketers, small business owners and agencies, building websites that they can use and their clients can use. I have over 10 years experience working with WordPress. My journey began with WordPress version 2.0 (that was before you could set pages as the home page). Within the community, I've spoken at WordCamps and other conferences about WordPress as well as contributed to two releases: 3.9 and 4.4. 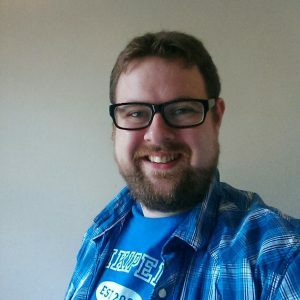 I've also helped organise WordCamp Manchester, volunteered at WordCamp London, written bbPress Complete as well as provide support on the forums. In short: I eat, sleep and breathe WordPress. Here's a list of some of technologies I'm familiar with. As a WordPress specialist, I can offer a range of skills surrounding WordPress. Whether you want me to manage your whole project or to come on for a short period of time, I can work with you. Do you have a project that needs WordPress development? Do you have a design that needs to be turned into a safe, secure and speedy theme? Or maybe you need some functionality coded into a custom WordPress plugin? Custom WordPress Development will see me manage your project from concept to completion. At the end of the project you will see your idea brought to life. Small theme and plugin tweaks. Updates to WordPress Core, Plugins and Themes. Google Analytics & Webmaster Tools Integration & Monitoring. Do you have a slow running site? Have you a plugin on your site that hasn't been updated for ages and you want to make sure that it's still safe? Brought in a developer to do some work and you want it double checking? I have experience with speeding up sites (making them more SEO friendly) as well as auditing plugins to make sure they are safe and secure. I can then make recommendations based on the project: If you want a faster site, I can recommend changes to make your site faster. For a code audit: I can recommend changes and improvement to make code more efficient. Having your business' site hacked is a distressing experience and it can feel like a horrible experience to bring your site back to some sort of order. The most important thing is don't panic. For hack recovery, I can help your site recover from a hack, as well as provide support and harden your site to decrease the likelihood of it ever happening again. Do you need some training? Are you not sure on something with WordPress? I can put together a training course with materials on how to get the most out of WordPress in any form. Be it in person, documentation or over Skype. I can provide one-to-one and group training in WordPress, some of the most popular plugins, as well as any custom work you should choose to do. I can also offer you generic WordPress consultancy. I can help provide strategy for a WordPress site, ideas for plugins and themes, help optimising your workflow, and various other subjects. Thank you for your interest! Please send some details and what you are after, and I'll aim to respond within 2 business days. This isn't required, but it does make helping you easier.